Amazing single story home in Plano! 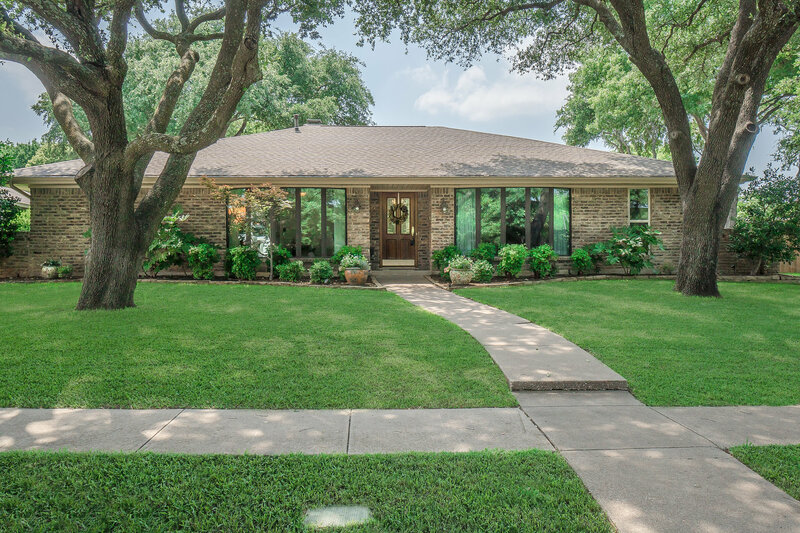 Darling New Listing In Plano! Immaculate 1 story home in highly sought after Cloisters subdivision. This lovely home sits on a cul de sac with beautiful mature trees & a stunning pool! With 4 great size rooms, 2.1 bathrooms, 3 living areas & 2 dining areas this home truly has it all! The gorgeous kitchen is adorned with granite, beautiful white cabinets & newer black appliances. The breathtaking family room has vaulted beamed ceilings, a fireplace, stunning paneling & hand scraped hard wood floors. The spacious laundry room has a full sink & a half bath! The updated master bathroom has a wonderful stand up shower & two vanities! Not only do you have a relaxing pool outside but there is also a nice size yard & additional RV or boat parking!